Regal Princess is unmistakably elegant, accomplishing something mainstream cruise ships occasionally struggle with: finding a balance between fun and refinement. The decor is comfortable, with warm tones and plenty of wood and marble. The Piazza, a hallmark of the line, is truly grand; it's large, encompasses three decks and has three bold spiral staircases. At night, it's where you'll want to spend your time watching people, listening to music or sipping cocktails. 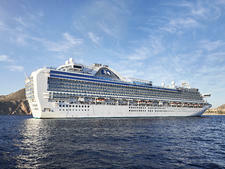 Regal Princess is a near twin of fleetmate Royal Princess, and, as such, it has mostly the same features that debuted on that ship just a year earlier. That includes the SeaWalk, a cantilevered glass walkway that juts out from the Lido Deck, allowing passengers to take in unobstructed views of the sea below. It's a fun touch, though it loses its appeal after you've taken the walk once. 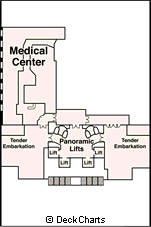 Editor's Tip: For a fun photo, station one person on the promenade on Deck 7, directly below the SeaWalk. Have the model look up to the SeaWalk and wave. Snap a pic looking down through the SeaWalk. 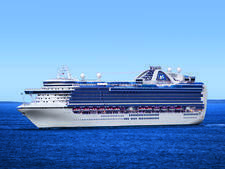 When Royal Princess debuted, passengers complained that two staples on the lines' other ships were lacking: the aft pool and the promenade deck. 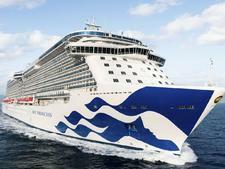 In response, Princess made changes to get versions of those on Regal Princess, with some success. The aft pool is a solid, though small, addition to Regal Princess, but the promenade still misses the mark. It doesn't wrap the ship like a true promenade; instead, it comprises two outdoor decks -- one portside, the other starboard side -- that are only accessible by cutting through the ship. One item Princess didn't fix, unfortunately, is the weird staircase midship, which mysteriously ends at Deck 7. If you want to get up to higher decks from that location, you'll have to take an elevator. Walkers must go forward or aft and take the stairs there. A highlight onboard is the food, which we enjoyed in most venues. The buffet offers tremendous variety, with many options for international palates, and the for-fee restaurants -- specifically Sabatini's and Crown Grill -- are reasonably priced. Still, those who don't want to pay have enough options that they won't feel slighted. Conversely, those who want to splurge on the Chef's Table and the Winemaker's dinner will likely feel as if it was money well spent. While Princess fans will recognize the things they love about the line onboard Regal Princess, this class of ships represents a major evolution for the line. Careful thought has clearly been given to many of its public spaces, restaurants and activities, resulting in an overall vibe that's relaxing and fun -- exactly what you want a vacation to be. 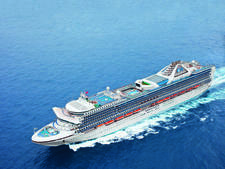 Passengers tend to be a solid mix of older and younger couples, as well as families, which are more prevalent during the summer and holiday seasons and while Regal Princess sails the Caribbean. 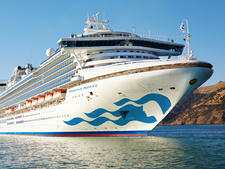 While many passengers are North Americans, Europeans and Asians do sail the line, especially during Regal Princess' Mediterranean season, which runs roughly from late spring to early fall. In the Med, the passenger mix is decidedly international, with Japanese, Chinese and Korean cruisers heavily represented. Cruise Critic’s professional photographers and our extraordinary community members have taken 3,454 pictures of Regal Princess. When you visit our photo galleries, you can be assured that what you see is what you get. During the day, casual is the name of the game, with shorts, swimsuits and flip-flops the norm. In the evening, passengers wear resort-casual attire. For men, that generally means khakis or slacks and button-down or collared shirts. Women wear dresses or skirts, capris or slacks and blouses. On formal nights, evening attire is the standard. For men, that includes suits, jackets and slacks or the occasional tuxedo. Women wear cocktail or evening gowns or formal pantsuits. Cruises of four days or fewer won't have formal nights, but those with five or six days will feature one formal night, seven- to 13-day sailings will have two formal nights and voyages of 14 to 20 days will feature three formal nights. Princess automatically adds a gratuity of $12.95 per person, per day, ($13.95 per person, per day, for mini-suites and suites) to passengers' shipboard accounts. Passengers have the option of increasing or removing these gratuities from their accounts. Wait staff, cabin stewards, buffet stewards and housekeeping staff will share the gratuities. A 15 percent gratuity is added automatically for beverage and spa services. Tipping for room service is not included but is appreciated; usually a dollar or two is appropriate. The U.S. dollar is the onboard currency. The fifth ship in Princess Cruises' Royal Class, set to launch in 2019, will follow Royal Princess, Regal Princess, Majestic Princess and Royal Class 4. 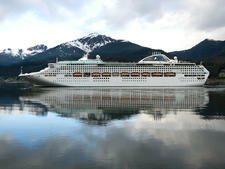 Pacific Princess offers some of the line's more exotic itineraries in Europe, Asia and South America, including a 107-night World Cruise. Coral Princess is a vacation destination that offers up a pleasing amount of glitz while making passengers feel right at home. 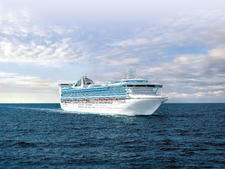 Sapphire Princess debuted in 2004 as the fifth of nine ships in Princess' Grand Class. 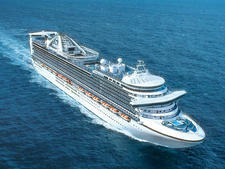 It carries 2,670 passengers and features an adults-only sun deck and a poolside movie screen. Island Princess is a 2,214-passenger Coral-class ship built small enough to fit through tiny locks prior to the Panama Canal's widening project. 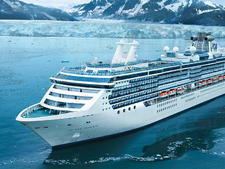 Diamond Princess is beautiful, all gleaming brass and glass, with a relaxed atmosphere that moves at a slower pace. 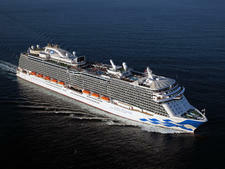 The 3,080-passenger Caribbean Princess boasts charm, elegance and a comfortable vibe. 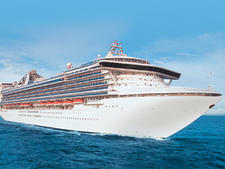 No matter your vacation interests, you'll find something aboard to suit you. Dignified yet fun with Princess signatures including Movies Under The Stars, fine dining, the ever-busy Piazza and Broadway-style production shows; holds fewer than 4,000. 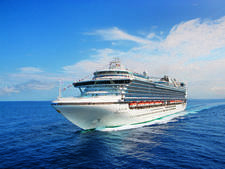 Star Princess is an elegant midsize ship, perfect for older couples or groups of friends who enjoy enrichment and lingering over drinks and long dinners. One of Princess' oldest ships featuring popular cruise line standards including the always-buzzing Piazza, Alfredo's Pizzeria, Movies Under the Stars and day-and-night trivia. 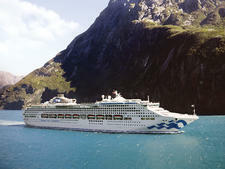 The 2,600-passenger Golden Princess, splits its time between Australia, New Zealand, the South Pacific and Asia and is the largest-ever Melbourne-based cruise ship. Sea Princess, launched in 1998, is mid-sized, offers traditional features and makes cruisers feel like they're onboard an oceangoing vessel, not a theme park at sea. 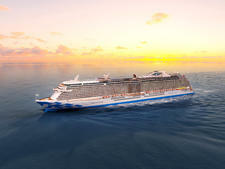 One of Princess' largest ships, this 3,080-passenger vessel pioneered some of the line's best features, including an adults-only sun deck and three-story piazza. No gimmicks here, just traditional Princess fun including Movies Under The Stars, the always-buzzing Piazza, Broadway-style stage shows and 14 bars; holds about 4,000. 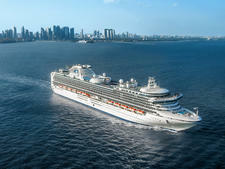 As far as modern mega-ships go, 3,000-passenger Emerald Princess maintains the high level of service it was celebrated for when it first launched. 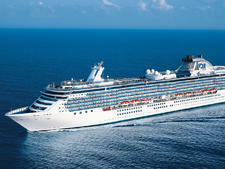 Launched in 1995 as the world's biggest-ever cruise ship weighing in at 77,000 tons, Sun Princess paved the way for contemporary cruise travel. 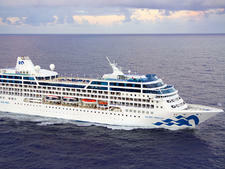 Princess Cruises' newest and largest ship offers cruises out of Sydney and Shanghai. It has a dancing fountain of lights and music and a pool club. 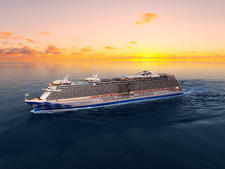 Slated for delivery in 2019, Princess Cruises' fourth Royal-class ship will be modeled after its fleetmates Royal Princess, Regal Princess and Majestic Princess.